For those who read through to the back pages of the world affairs section, the conflict in Libya has been back in the news of late. For a country that has been consumed by violent anarchy since NATO led rebels toppled the Moammar Gadhafi regime in October 2011, a renewed outbreak of hostilities hardly seems worthy of note. However, this time around there was a bizarre new twist. The capital Tripoli is presently under heavy attack from the Libyan National Army, which is commanded by a warlord named Khalifa Haftar. Defending Tripoli is a collection of tribal militias, and troops loyal to the UN recognized government of Libya. There is a second self-proclaimed Libyan government based in the eastern city of Tobruk. In actuality, these rival regimes are impotent administrations with the real power lying with the militia leaders, and warlords like Haftar. So far, there is nothing really new about this situation since the former anti-Gadhafi rebels began fighting among themselves immediately after their common enemy was murdered in the streets of Sirte: Libya quickly devolved into a failed state divided into a myriad of armed fiefdoms. What did make the latest Haftar offensive against Tripoli newsworthy was the U.S. reaction. First of all, who even knew that the U.S. had a contingent of troops in Libya in the first place? Even during the rebellion in 2011, the deployment of U.S., British, French and yes, even Canadian special forces, troops on the ground was officially denied. Canada unofficially let the cat out of the bag by having members of the Special Operations Regiment (CSOR) march in the Nov. 24, 2011 victory parade on Parliament Hill, but no official announcement was ever made. As for the U.S. troops in Libya, no mention was made of how many were withdrawn, or how many remain on the ground. While I understand that tactically the U.S. commanders would hate to tip off the enemy, the fact is that America is not presently at war with Libya. If U.S. troops are fighting and killing people in Libya, exactly who are they battling? Just as important is the question of who exactly are they fighting in support of, and under what legal authority? It was similarly announced last December by U.S. President Donald Trump that U.S. troops were to be withdrawn from Syria. It was simply accepted without question that America somehow had the legal authority to deploy their troops on foreign sovereign territory. In 2014, the U.S. had been invited back into Iraq to lead a multinational coalition in the fight against Daesh (aka ISIS or ISIL). This coalition included Canadian fighter jets and special forces personnel, and it is by extension under this agreement that Canadian military personnel remain as trainers in Iraq today. However, even though Daesh operated on both sides of the Syria-Iraq border, Syrian President Bashar al-Assad never invited U.S. forces to assist him in battling Daesh. In fact, Assad instead enlisted the military assistance of both Russia and Iran. If the U.S. truly respected international law, they would not be withdrawing troops from Libya and Syria, because they should never have been deployed there in the first place. 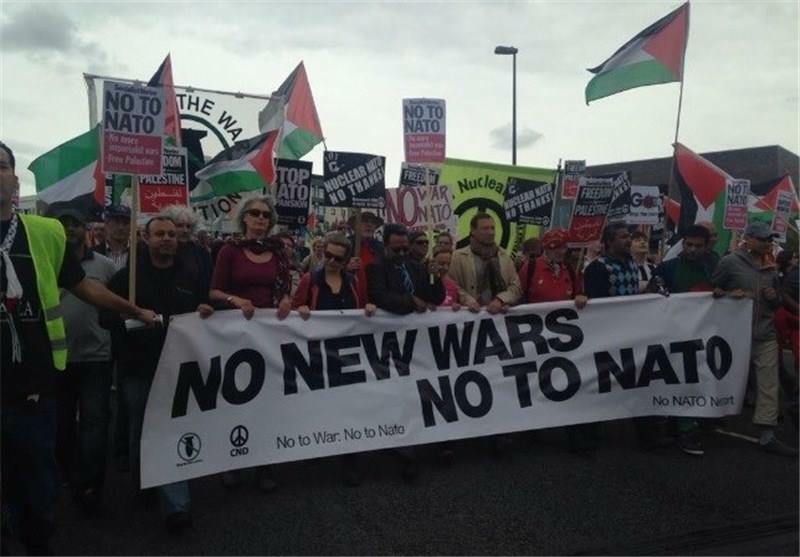 The NATO cheerleaders and apologists pride themselves on claiming that we, as alliance members, are part of a ‘rules-based international order.’ This, they tell us, is what sets us apart from rogue states like Russia, China, Iran, Venezuela, North Korea, Pakistan, etc. who simply play by their own set of rules. If the true rule of the jungle is that ‘might is right’ then let’s start being honest with ourselves and quit the hypocritical moral posturing. Rules are only for the weak. It is interesting to compare the very different circumstances surrounding the two individuals at the centre of the current political scandals in Ottawa. I’m referring, of course, to former Attorney General Jody Wilson-Raybould and Vice Admiral Mark Norman. In terms of similarities, both cases begin with information being leaked to the media. They also stem from allegations that major corporations were attempting to use their political clout with the Trudeau Liberals to influence key government decisions. In the Norman case, it is alleged that the admiral breached trust by leaking news to the CBC that Irving Shipbuilding of Halifax was trying to scuttle a contract with Davie Shipbuilding of Quebec to build an interim supply ship for the navy. The original $700 million deal had been agreed to by the Harper Conservatives, but following the Liberal election victory of October 2015, newly-minted Treasury Board President Scott Brison allegedly suggested to Cabinet that perhaps the Davie deal be revisited. When the news broke of this possible reversal, Davie reminded the Trudeau government that they had a stiff cancellation fee clause in the contract, and Navy planners reminded their political masters of the urgent necessity for a supply ship. Subsequently, there was no attempt to cancel the Davie deal. For the Canadian public and the sailors of the RCN, the decision to proceed with the interim supply ship deal has proven itself to be a major success. The MV Asterix was delivered to the RCN on budget, and on time, and has just completed 14 months of operational service. As for Vice Admiral Norman, things have not gone so swimmingly. Stung by the embarrassment of the alleged leak, Privy Council Office called upon the RCMP to investigate the source. 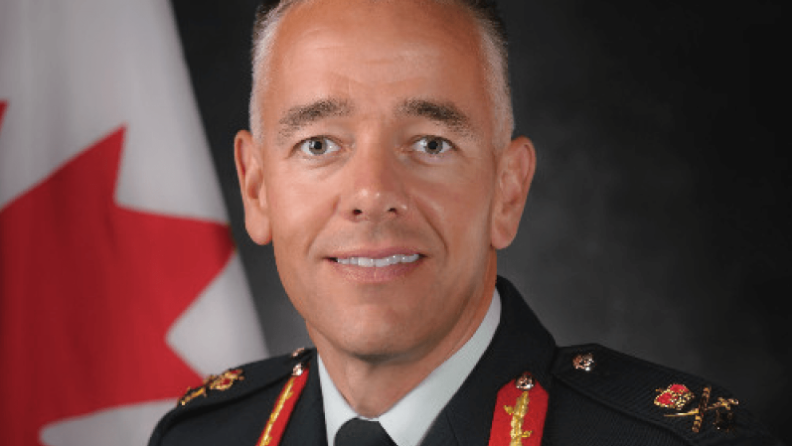 In January 2017, Chief of Defence Staff General Jonathan Vance publicly announced that Norman was suspended from his post as Canada’s Vice Chief of Defence Staff. The announcement was made without providing the media with any context, and thus Norman ended up being the unfair recipient of wild speculation by many pundits. The good admiral was accused of everything from being a sexual abuser to a treasonous spy. Mercifully, albeit ten days later, official word was disseminated that the alleged wrong-doing involved the leak of information regarding a civilian contract. It would take a full year of RCMP probing before Norman was formally charged with a single count of Breach of Trust. The kicker to all this came when Norman sought financial assistance from DND for his mounting legal bills. In 2017, that request was denied because, according to a Justice Department letter leaked to my colleague David Pugliese of the Ottawa Citizen, Norman was guilty of disclosing confidential information. Keep in mind, this denial of legal financial assistance due to the accused’s preconceived “guilt” came even before Norman had been formally charged with any crime. To put this in even clearer perspective; in the past two years, there have been a total of 25 requests by military personnel for legal fee assistance. Of that number, only Norman and two others have been denied. Now, getting back to the Wilson-Raybould saga, this too started with a leak to the media. According to Robert Fife’s breaking story in the Globe and Mail, two unnamed sources from inside Wilson-Raybould’s office alleged that the former Attorney General had been inappropriately pressured by the Prime Minister’s Office. The crux of the matter was the PMO’s desire to stave off a possible criminal prosecution for the engineering firm SNC Lavalin. The charges of bribery date back to 2008 when SNC Lavalin officials allegedly procured hookers and Spice Girls tickets for the son of Libyan leader Muammar Gaddaffi. According to those unnamed sources, and subsequently through Wilson-Raybould’s own testimony before the Justice Committee, the PMO wanted her to suspend the pursuit of a criminal conviction in favour of a ‘deferred prosecution agreement’, (DPA). Such a deal would allow SNC Lavalin to plead guilty and pay a fine, but avoid a conviction record and thereby continue to qualify as a bidder on federal government contracts. Wilson-Raybould instead stood her ground and was subsequently shuffled out of the Attorney General’s office. The final decision on SNC Lavalin’s legal fate has yet to be determined, but Wilson-Raybould’s revelations have already badly shaken the senior ranks of Trudeau’s government. Not surprisingly, two of her primary alleged protagonists, Trudeaus’ former Principal Secretary Gerald Butts and Chief Clerk of the Privy Council Michael Wernick, are being singled out as key obstructionists in the Norman case. In fact, the same morning that the recently resigned Butts was testifying at the Justice Committee in rebuttal to Wilson-Raybould’s allegations, Norman’s lawyer, Marie Henein was issuing an ultimatum to both Butts and Wernick. She has demanded that they either produce the documents and phone records that were subpoenaed by her last month, or she will call upon the two men to testify in open court. In the meantime, Norman remains suspended, pronounced guilty by his own department in advance of his trial and thereby denied assistance for his steadily mounting legal costs. Did I mention that the MV Asterix project is a complete success and is currently providing yeoman’s service to the RCN? To date I have not heard any mention of an investigation into who breached Cabinet confidence in the Wilson-Raybould story. In terms of relative damage, I would think that the Wilson-Raybould revelation was far more destructive. So, why continue to scapegoat Norman? ON TARGET: SNC-Lavalin allegedly offered bribes in Libya in 2008. The real crime was NATO destroying that Country in 2011. In the wake of astonishing testimony by Jody Wilson-Raybould at the February 27 Commons Justice committee hearing, there has been plenty of finger pointing and howls of indignation leveled at the Prime Minister and his senior officials. As a result of the increased scrutiny, we are now aware of many of the more sordid details of the alleged bribery, at the centre of this burgeoning scandal. According to media reports, back in 2008, Saadi Gaddafi, the third son of the late Libyan President, came to Canada as a guest of SNC-Lavalin. The Quebec based engineering corporation was seeking to curry favour with Gaddafi the younger in order to land lucrative construction contracts in Libya worth millions of dollars. Hired to protect Saadi during his stay was GardaWorld, but the services actually provided went far beyond close-in protection. It is alleged that Garda submitted bills to SNC-Lavalin totaling approximately $30,000 for debauchery ranging from high-class escorts, to tickets for a Spice Girls concert. It was for the provision of such bribes that SNC-Lavalin faced criminal charges, which if convicted, would preclude this crown jewel corporation from bidding on any future Federal infrastructure programs. Such a result would lead to a potential loss of jobs and even a relocation of SNC-Lavalin’s headquarters outside of Canada. Thus, if we are to believe the frank testimony of Wilson-Raybould, Justin Trudeau and his top officials attempted to pressure the Attorney General into resolving this through a deferred prosecution arrangement: SNC-Lavalin pleads guilty, pays a fine and the criminal conviction is stayed. While I applaud Wilson-Raybould’s courage and determination in standing her ground to preserve the independence of Canada’s judiciary system, I find it incredible that everyone involved in this saga seems to have lost sight of the Libyan elephant in the room. Canadian corporations should not bribe foreign officials with prostitutes and Spice-Girl concerts to obtain contracts. That is sleazy business practice, which has no place in Canada, which prides itself as being part of the rules-based international order. So far, so good. If found guilty, then SNC-Lavalin should suffer the forfeiture of future federal contracts. This would not eliminate jobs per se, but rather direct those same engineers and tradespersons to corporations that don’t gift prostitutes to foreign clients. However, if we want to re-visit Libya and the Gaddafi family and start handing out punishment for indiscretions, we might find ourselves in a bit of a bind. Canada took great pride in the fact that we led the NATO effort to effect regime change in Libya in 2011. The approved United Nations Resolution 1973 only authorized NATO to enforce a no-fly zone over the skies of Libya to prevent Gaddafi from bombing the Libyan rebels. Led by Canadian Lieutenant-General Charles Bouchard, the NATO Commanders jokingly boasted that they were in fact enforcing a ‘no-drive’ zone so that they could openly bomb Gaddafi’s troops on the ground. We also armed the Libyan rebels in violation of the UN arms embargo, and it soon became apparent that the anti- Gaddafi rebels included more than a few unsavoury characters. Far from being the democracy loving freedom fighters we wanted to assist, the rebels were a murderous collection of Islamic extremists (including al-Qaeda), human traffickers, and other criminals. It was impossible to hide the true character of the rebels when their first act of victory was to film themselves brutally beating the 69 year-old Gaddafi to death on the streets of Sirte on October 20, 2011. Following Gaddafi’s death, Canada and the rest of the NATO alliance turned their back on the Libyan people and simply proclaimed “victory”. Prime Minister Stephen Harper was so overjoyed with Canada’s defeat of Libya that he staged a lavish victory parade on Parliament Hill, and bestowed the Order of Canada on General Bouchard. 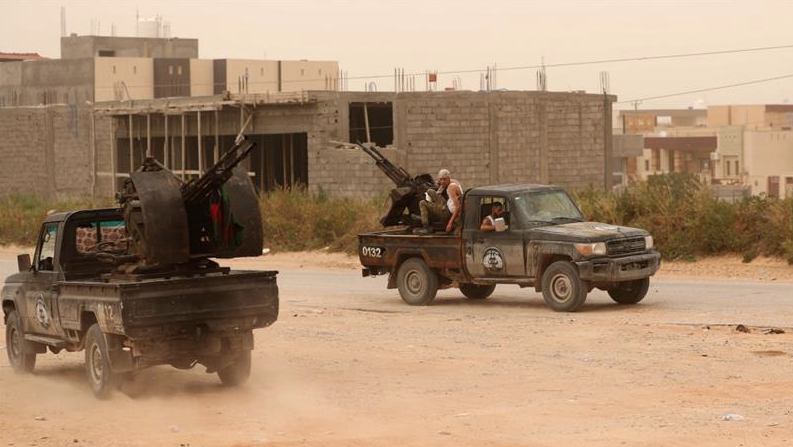 Back in Libya, the fighting never stopped. That once prosperous nation devolved immediately into a failed state. The various militia groups refused to disband and instead established their own fiefdoms. At present, there are no fewer than three rival Libyan governments – all impotent – and an estimated 300 different militia factions in a country with fewer than 6 million citizens. In terms of widening the crisis, in 2012, Taureg fighters armed from the unsecured Libyan arsenals, allied themselves with al-Qaeda of the Islamic Maghreb (AQIM) to seize a vast swath of northern Mali. This brings us full circle to the current deployment of 200 Canadian military personnel to support the U.N. mission in Mali, which saw its origins in the fiasco we created by deposing Gaddafi in Libya. So yes, let’s punish SNC-Lavalin if guilty of providing bribes to the Gaddafi family. But let’s also establish a full parliamentary inquiry to hold accountable those Canadian officials who participated in the 2011 destruction of Libya. We were born out of a British colony and as such we do not have imperial legacies like those of the U.K. and France. We are also not a military superpower like the U.S., Russia, or China and we rightfully condemn all three of these nations when they flex their martial might to expand their territory or invade sovereign states. That is what makes the actions of Global Affairs minister Chrystia Freeland so troubling. As the co-chair of the Lima Group – which is essentially a subset of the Organization of American States (OAS), and is comprised of a total of 14 North, South and Central American countries – Freeland held a meeting in Ottawa on February 4th. The consensus from this Lima Group summit was that Juan Guaidó must be recognized as the interim President of Venezuela. The basis for Guaidó to claim top office is lodged on a clause in the Venezuelan constitution that in the event of a power vacuum created by a vacant presidency of the country, the President of the National Assembly is to act as interim President. That all sounds good, but the vacuum they described remains filled with the bulky frame and a very much alive and defiant Nicolas Maduro. The Lima Group’s stated support for that of the 35-year-old Guaidó was quickly echoed by the U.S. State Department. A bit of a stumbling block to our choice of Guaidó is the fact that the Venezuelan military is still loyal to Maduro. Technically, Maduro won the Presidential elections last May in what were admittedly dubious circumstances. The opposition boycotted the polls and much of the international community - including Canada - denounced the results as fraudulent. That said, Canada had no problem accepting the failed results of no less than three farcical Presidential elections, which the U.S. staged in Afghanistan. When no result could be verified, we simply stuck with the puppet of choice and sent in our soldiers to prop up the corrupt Afghan regime in Kabul. In the case of Venezuela, Maduro can still count on the support of his own troops – for now. Canada has led the chorus of the international voices calling upon Venezuelan troops to switch their allegiance to Guaidó, because he is the man of our choosing. We have been told repeatedly that the Russians rigged the U.S. election, which made Donald Trump great again. Despite this, no one could imagine a scenario where a Freeland-led Lima Group announces that we recognize Bernie Sanders as the interim U.S. President, and we urge the U.S. service members to disavow their oath of allegiance to the Commander-in-Chief. For the record, Guaidó, like Sanders, never ran in a Presidential election and was only named President of the National Assembly on January 5th. In other words, just in time to declare himself the interim President. Members of Venezuela’s National Assembly were not elected through a national vote, but rather by regional committees. Again, I am not stating any implied support for Maduro, and history may yet prove that Guaidó is the answer to the Venezuelan’s problems. The question remains why Canada feels it must take the lead on this? On January 29th, U.S. National Security Advisor John Bolton publically stated that things will be better off for all involved once U.S. oil companies are back in Venezuela. It is true that Venezuela has the largest proven and unproven reserves of oil, and the sixth largest reserves of natural gas. Prior to the current crisis, Venezuela was pumping over 3 million barrels per day, and in the period following the U.S. invasion of Iraq (2003-2004) oil was trading at well over $100 USD a barrel. The plummet in oil prices certainly crippled Venezuela’s economy but so too did the U.S. ban on Venezuela importing the diluent chemicals necessary to thin the viscosity of the thick Venezuelan oil. Without this diluting agent, Venezuela is now producing barely 1.5 million barrels per day. The standard written media line on Venezuela’s present bankruptcy is that Maduro’s regime is a kleptocracy and that their over ambitious social programs to alleviate poverty have bankrupted the treasury. Carrying the humanitarian torch on high seems a tad hypocritical when it aligns us in this case with the ultra-right nationalist government of Brazilian President Jair Bolsonaro. It also runs counter to Bolton’s honest admission that all will be well again once the U.S. companies set that oil flowing again. Just prior to the January 29 International Holocaust Remembrance Day commemorations, a shocking study was released which revealed that nearly half of Canadian’s cannot name a single Nazi concentration camp. Commissioned by the Azrieli foundation and conducted by Schoen consulting, the study was based on over 1,100 interviews of randomly selected individuals to reflect Canada’s diverse demographics. According to the findings, millennials or those adults aged 18 aged 34 were the most un-informed regarding even the basic details of Hitler’s Holocaust. In their January 24th story about this study, the New York Times noted that when Canada inaugurated its first National Holocaust Memorial in Ottawa in 2017, the plaque somehow omitted any mention of Jews or anti-Semitism. Following public outrage, that plaque has since been replaced with one more accurately reflecting the victims of the Holocaust. It is this ignorance of the horrors of the Holocaust that is allowing for a rise in neo-Nazism across Canada. It is estimated that there are currently as many as 300 such hate based groups operating in our country. In mid-January, Public Safety Minister Ralph Goodale issued an appeal to high-tech firms to aid authorities in halting the online activities of these right wing, anti-Semitic factions. Ignorance of the Holocaust is also allowing for many deniers to re-write history, a trend which is taking place in many European countries, often with official sanction. One refreshing counter to this deliberate historical revision came out last week in the form of an official announcement by the Government of Finland. After an appeal to Finland’s President by an Israeli historian, a study was conducted to examine the role of Finnish volunteers in the Nazi Waffen SS during WWII. The recently published results conclude that the 1,408 Finns who volunteered and fought as part of the 5th Panzer Division Wiking were indeed implicated in the slaughter of Jews, thus making them perpetrators of the Holocaust. This was a brave move by the Finnish Government, as these wartime SS volunteers had previously only been considered frontline soldiers, albeit allied with Adolf Hitler. In a recent scuffle between Ukrainian police and right-wing demonstrators in Kiev, one officer was caught on video shouting “On the ground, Banderite!” as he apprehended a rioter. Banderite is the name used to describe Bandera’s followers. The policeman’s use of the term as a derogatory slur caused an angry backlash across western Ukraine. In response the police chief announced that the officer in question would be disciplined, and then proclaimed himself to be a Banderite. 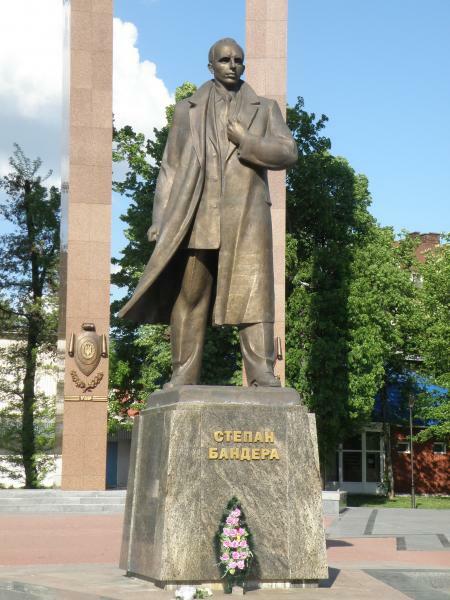 This prompted the Minister of the Interior to follow suit and also proclaim his public support for Bandera. Whatever Bandera did for Ukrainian nationhood cannot be allowed to erase the fact that he was a rabid anti-Semite who slaughtered Jews. Canada currently has approximately 200 military trainers based in Ukraine and according to the stated rationale for our military assistance is to help Ukraine defend our common values from Russian aggression. Surely that does not allow us to turn a blind eye to such very public celebrations of a man who slaughtered Jews? Similarly, we have over 500 combat soldiers based in Latvia and next month, on March 16, there will be a parade to honour those Latvians who fought in Hitler’s SS Latvian Legion. A group known as the Arajs Commando formed the core element of this SS Unit. The Arajs Commando is credited with exterminating the Jewish population of Latvia to such an extent that by 1942 SS leader Heinrich Himmler pronounced the country “Juden frei” (Jew free). As that recent study clearly shows, far too many Canadians know far too little about the Holocaust. How else can one explain allowing our allies to stage parades and name streets after perpetrators of the worst crime ever committed against humanity? Fourteen years have passed since then, Layton is deceased, Canada did finally cut and run in 2014, and a revitalized Taliban now controls or threatens up to 70% of Afghanistan’s territory. After talks in Qatar and Moscow between senior Taliban leaders and the newly appointed U.S. Special Peace Envoy, Zalmay Khalilzad, it was announced that the two sides have cobbled together the framework of an agreement. The essential platform in this pathway to peace is that the U.S. will agree to a full withdrawal of troops as per Donald Trump’s stated objective – in exchange for a promise from the Taliban to never again harbour a terrorist entity such as al-Qaeda. Given that the Osama bin Laden directed 9-11 attacks on the Twin-Towers in 2001 which were likely conducted without the knowledge of, and certainly without the blessing of his Taliban Afghan hosts, this seems an easy request for the Taliban to fulfill. It is also worth noting that the Special Envoy Khalilzad, an Afghan-American has close ties to the conflict in his home country dating back to the Soviet invasion of 1979. At that juncture, Khalilzad worked for the Carter administration and later for the Reagan administration in providing arms to the brave Mujahedeen of Afghanistan. Following the U.S. supported Mujahedeen defeat of the Soviets in 1989, Khalilzad found employment at the RAND Corporation where he wrote at length about the importance of U.S. global leadership. He also provided a risk analysis report for Unocal (now Chevron) for a proposed trans-Afghanistan gas pipeline. This 1,400 kilometer-long pipeline was to connect the gas fields of Turkmenistan to Pakistan, and would run right through Kandahar. Now that this is coming full-circle, it would seem that Taliban Jack Layton was not far off the mark. It will also become increasingly difficult for those media voices who sold the Afghan mission as a crusade to save the women of Afghanistan from the Taliban, to justify their enthusiasm for bloodshed. It will be even harder for our military to reason away the 158 dead, 2,000+ physically wounded and untold number suffering the invisible wounds of PTSD suffered in a needless war. ON TARGET: Canada needs to focus on who our troops are fighting for…and not simply demonize those who we are fighting against. Last Friday there was news out of Libya a top leader of al-Qaeda had been killed in a military operation in the southern city of Sabha. Known as Abu Talha al-Libi, this senior al-Qaeda terrorist was allegedly killed in a raid mounted by troops loyal to General Khalifa Haftar. Haftar is just one of numerous ruthless warlords vying to control Libya which has been gripped by violent anarchy since Muammar Gaddafi was ousted and executed in October 2011. On the surface, the elimination of Abu Talha must been seen as a good thing: One less nasty al-Qaeda sleazebag to walk the planet. Unfortunately, his death also allows us to recall his career highlights as a terrorist. It turns out the Abu Talha was first apprehended by Libyan security forces in 1996 when he attempted to kill President Gaddafi. He was safely behind bars until the NATO –backed Libyan rebels overthrew the Gaddafi regime and emptied all the Libyan jails. Technically, Abu Talha was a political prisoner and his anti-Gaddafi street credit was solid since he had attempted to kill him. The fact that he was also an avowed Islamic extremist matters not because at that juncture, Western media had so demonized Gaddafi and his loyalists that anyone opposed to him simply had to be a good guy. Fast forward to 2013 and Abu Talha is somehow transported from war-ravaged Libya to Syria where Western backed rebels were attempting to overthrow President Bashar al-Assad. Abu Talha and other members of al-Qaeda were quick to heed Baird’s call-to-arms. These extremists soon created a new fighting force known as the al-Nusra Front and they quickly became the most effective of all the anti-Assad factions on the Syrian battlefield. Despite their known links to al-Qaeda, the Western media had so demonized Assad by this point, that it seemed to matter naught that his enemies were in fact Islamic extremists. By 2014, certain elements of al-Qaeda and al-Nusra in Syria created an even nastier gang of evildoers known as Daesh (aka ISIS OR ISIL). Daesh fighters soon swarmed into Iraq and captured vast tracts of land in what is known as the Sunni Triangle, including the city of Mosul. In response, Canadian fighter jets and Special Forces troops joined a U.S. led international coalition to contain and ultimately defeat the Daesh threat. Abu Talha’s work was done in Syria however and in 2014, he returned to the still war-ravaged Libya. Coincidentally, it was at that juncture when Daesh emerged as a fighting force in Libya, Egypt and Afghanistan. Now that Abu Talha has been killed he is once again categorized as a vile member of al-Qaeda, the Osama bin Laden led terror organization that attacked the Twin Towers on 9/11. Bad guy dead equals good news. What it also exemplifies is the power of our propaganda to oversimplify conflicts into good versus evil scenarios. We were told Gaddafi was bad, we needed to fight him, and since we know that we are intrinsically the good guys, by extension anyone else fighting him must be good too. There was plenty of evidence at the time that the rag-tag forces fighting Gaddafi were comprised of unsavoury elements – Islamic extremists, criminals, etc – but everyone acted surprised when the war ended and this truth could no longer be hidden. The numerous militias, which the West armed and supported with a Canadian-led NATO air armada – refused to disarm in the wake of Gaddafi’s murder. Instead, they immediately began fighting amongst themselves to establish personal fiefdoms and criminal empires. Had the Western media been more diligent in their duty and questioned whom we were fighting for in Libya rather than simply regurgitating the demonizing press lines about what a bad guy Gaddafi was, Abu Talha would never have been released from his Libyan jail. In Afghanistan, for more than a decade Canadian soldiers fought and died to prop up the most corrupt regime in the world. This was in part due to the media again focusing on demonizing those who we were fighting against – the Taliban, rather than providing an equally honest look at the scumbags we were fighting for. This is in no way the fault of our military. As an institution, the Canadian Armed Forces are to obey authority without question. It is the media’s role in a democracy to question authority. In this they have failed. It was reported last week that a weapons cache valued at over $10 million is sitting in limbo in a Montreal warehouse. This arsenal includes .50 caliber sniper rifles equipped with silencers, 60mm mortars, Carl Gustav anti-tank rocket launchers, pistols, carbines, thermal binoculars, cameras, scopes and medical supplies. The intended recipients of this sophisticated, lethal hardware was the Kurdish militia in northern Iraq. At the time that Prime Minister Trudeau pledged to provide this weaponry – February 2016 – the Kurdish militia were battling Daesh (aka ISIS or ISIL) with assistance of Canadian Special Forces advisors. So far, so good. Canadian troops were training Kurdish fighters, and to assist them in the fight, Canada scrounges up $10 million worth of high-tech weapons. The lethal aid package was assembled at the Canadian Forces’ supply depot in Montreal, but that was as far as it got. Before flights could be arranged to transport this arsenal to the Kurds, Canadian officials got a sudden lesson in the Middle East complexities. The Iraqi government in Baghdad got wind of the weapon shipment and ordered it halted. While Canadian trained Kurds were fighting the common enemy in Daesh, they were also openly fighting to establish an independent state of Kurdistan. On Canadian maps, the city of Erbil is in northern Iraq, but when our military trainers arrived there, the sign at the airport boldly proclaimed “Welcome to Kurdistan”. The flags flying atop every official building and military outpost was the red, green and white stripes with a central yellow sunburst, aka the flag of Kurdistan. This same symbol of Kurdistan was worn as a Velcro patch on the combat uniforms of all the Kurdish militia which the Canadians were training. Despite the fact that these very colourful patches defeat the concept of camouflage in a tactical situation, our Special Forces troops soon added the flag of Kurdistan patches to their own uniforms. The decision to allow Canadian soldiers to adorn their uniforms with this symbol was taken at the highest level and clearly illustrates just how naïve our commanders were at the time. Given the complexity of ethnic and religious divisions in northern Iraq, this would be akin to a law enforcement agency having its officials wear a biker gang’s colours in the middle of an urban turf war. Even if our troops wanted to bond better with their Kurdish trainees, the wearing of a symbol depicting a non-recognized, separatist entity should have never been considered. More importantly, the official policy of Canada’s Global Affairs department was, and remains that of supporting a unified Iraq in a post-Daesh era. Knowing that the Kurdish militia would eventually turn their guns on the Iraqi Army, the Baghdad regime said ‘no dice’ to Canada providing the Kurds with all of that sophisticated weaponry. That prediction became a reality in the fall of 2017, when Kurdish leader Masood Barzani announced his intention to declare independence. The Iraqi Army clashed briefly with the Canadian trained Kurds and successfully recaptured the oil-rich city of Kirkuk. 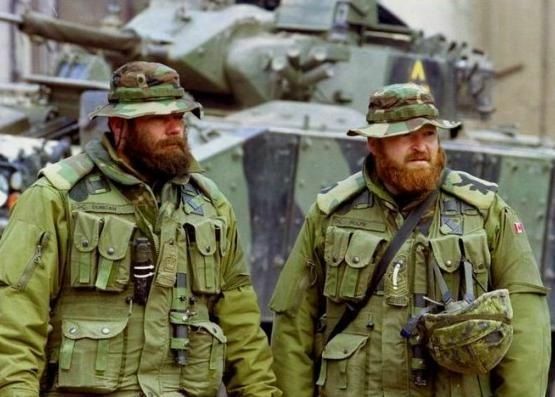 Since that juncture, Canadian Special Forces operatives have remained in Iraq, but they have removed their Kurdistan patches and ceased their direct assistance to the Kurdish separatist forces. It should be noted that Baghdad was not the only voice which objected to Canada providing weapons too the Kurds. Turkey – a vital NATO ally, also expressed concern due to the on-going three decade long, armed Kurdish separatist insurrection in their eastern provinces. Since 1978, this conflict has claimed the lives of over 30,000 people, including over 8,200 Turkish security personnel. At the time of the official announcement, the Trudeau government said they would exercise controls to prevent the Canadian- provided weapons from falling into the wrong hands. Anyone familiar with the ebb and flow of loyalties and alliances in this region knows such a claim of controlling weapons after delivery was also hopelessly naïve. The good news is that but for a few fanatical holdouts, Daesh is defeated in both Iraq and Syria. This scourge of evil-doers temporarily brought together an unholy alliance that included Kurdish separatists, Iraqi Shiite militia, the Iranian Revolutionary Guard, Putin’s bad old Russians, Bashar al-Assad’s murderous henchmen, his Hezbollah allies, the U.S. and of course Canada. Now that the unifier has been eliminated, Canada should follow Trump’s lead and get our troops out of there. We have no skin in the game, and we will definitely not have a seat at the big boy table when an eventual resolution is drawn up. Our policy makers have already illustrated their ignorance of this complex conflict in authorizing our soldiers to wear the Kurdistan flag. Thank goodness we did not actually compound that error by pouring in another $10 million of weaponry to add to the endless killing. Simply put, if you don’t know the players, you have no place being in the game. Bring our troops home. As we wind down 2018 and prepare to kick off the New Year, it is a good time to pause and take stock. This would be particularly true in the case of the Canadian Armed Forces. We have a sizable number of troops deployed on overseas missions, gobbling up a huge chunk of the defence budget and, sad to say, achieving comparatively little in return. In fact, the one thing the military has failed to produce is a featured presence in the mainstream media. Long gone are the heady days of Canada’s 12-year military intervention in Afghanistan, when the coverage was so constant that in 2006 the Canadian Soldier was named “Newsmaker of the Year”. We presently have over 1,500 service members deployed on seven major overseas missions, and yet in recent polls the vast majority of Canadians admitted to having little to nil knowledge of the Canadian Armed Forces’ activities. From a soldier’s perspective, what is even worse is the fact that those missions to which we are committed either have no clear objective, no chance of success or are unnecessary in the first place. For instance, we have 540 soldiers deployed in Latvia until at least the year 2023 as part of a larger NATO force aimed to deter a Russian invasion of the Baltic states. Having those Canadian soldiers endure six-month absences from their homes and families is completely unnecessary because Latvia, like Lithuania and Estonia, are all members of NATO. That means that under the alliance’s charter all members, including Canada, are committed to the collective defence in the case of a third-party attack. In other words, if Russian President Vladimir Putin is crazy enough to invade the Baltic states and spark a nuclear armageddon it won’t matter where our 540 soldiers are stationed. This deployment is costing Canadian taxpayers $400 million annually to keep those troops needlessly deployed in northern Europe. That $400 million could be better spent improving the infrastructure on bases we have in Canada for the benefit of our soldiers and their families. We have also just extended the training mission in Ukraine where we have about 200 military instructors. Ukraine is not a member of NATO and is enmeshed in a simmering civil war. The western-backed regime in Kiev is battling pro-Russian separatists (mostly, in fact, ethnic Russians) in the eastern provinces. The West chastises — and rightly so — Putin’s support of the separatist rebels with weapons and instructors, while at the same time Canada prides itself in supporting our close ‘ally’ Ukraine with weapons and instructors. Total hypocrisy. In a similar demonstration of martial deterrence, Canada has five CF-18 fighter aircraft operating out of an air base in Romania. On the one hand we have the Trudeau Liberal government telling Canadians that we have a capability gap in our fighter jet inventory, with too few aircraft to fulfil our commitment to NATO and NORAD. Then we have a recent auditor general report saying we have too few pilots and too few maintainers to keep even the fighter jets we have in operational service. Now we are to believe that we can spare five of those precious jets and aircrew to fly sorties over Romania? Once again folks, no matter how much the tub-thumpers and warmongers want a new Cold War, if a conflict with Russia does erupt it will not be a flurry of aerial dogfights and glorious infantry charges. It will be a series of mushroom clouds. We’re also committed to two separate missions in Iraq. One is a NATO initiative to train a new Iraqi army, while the second is a special forces mission, which remains somewhat in limbo. That is because of the Kurdish militia, which our special forces trainers were originally supporting. Once the alliance had successfully defeated their common enemy Daesh (aka ISIS, IS or ISIL), the Canadian-trained Kurds began fighting Iraqi government forces. These would be the same Iraqi government troops that our second mission is training and supporting. Whoops! Canada has no stake on the Iraq equation now that Daesh is defeated. And if the U.S. could not create an effective Iraqi military in 15 years of occupation, I don’t believe a Canadian-led NATO team will be able to achieve success in one year. As part of the Liberal party 2015 campaign promise to return to peacekeeping, this past July we began a one-year, $100 million deployment to the UN mission in Mali. The stated objective of that mission is for the 14,000 blue helmets to “help set conditions for durable peace, development and prosperity in Mali.” I’m no psychic but I will state with full certainty that by the time we bring home our 250 troops and helicopters next July, that objective will still be far from fulfilled. Canadian soldiers are still the best in the world and they are our best ambassadors. However, because our combat resources are so limited in scope, they need to be sent on missions with achievable objectives, as opposed to the current series of fool’s errands. 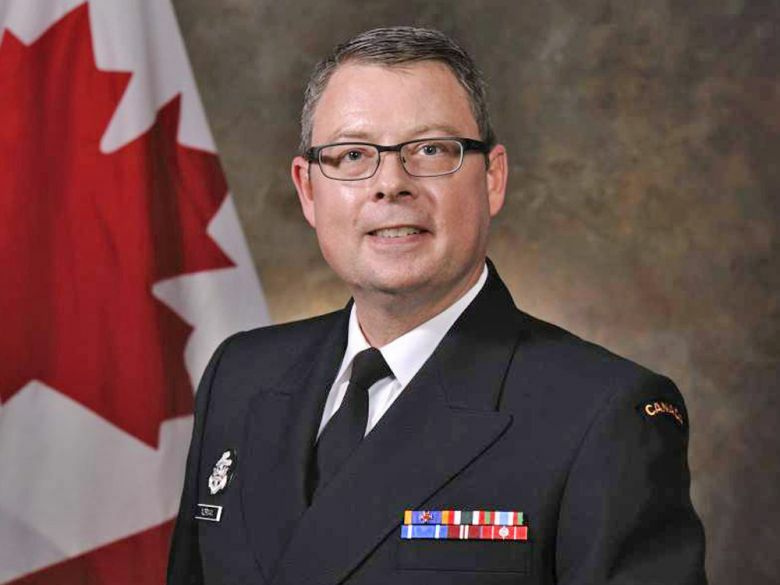 Last Tuesday, a witness at the pre-trial hearing of Vice Admiral Mark Norman dropped a bombshell when he told the court that senior DND officials had deliberately omitted Norman’s name from key documents in order to avoid a paper trail. In other words, an alleged cover-up in this case was pre-meditated and intentional. This testimony certainly supports the assertion of Norman’s legal team that the government is deliberately stonewalling them from accessing documents which would be vital to the Vice Admiral’s defence. The identity of the witness is protected by a court ordered publication ban, as the still-serving servicemember fears possible retribution career-wise from his Chain-of-Command. On the plus side of this equation is the fact that this individual had the moral integrity to bring the truth forward, regardless of the damage this might do to his superiors and the institution. The flip side of this is the depressing realization that there are still those in senior offices within the Defence Department that mistakenly think they can deliberately circumvent the access to information law, and then rely upon the loyalty of their subordinates to keep their subterfuge a secret. 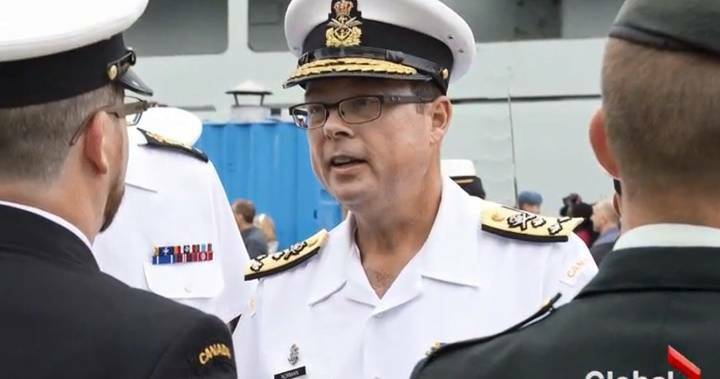 This high-profile saga began almost two years ago when it was announced in January 2017 that VAdm Norman, then Vice Chief of the Defence Staff, was suspended with pay and under investigation. At that time, DND offered no details as to why the number two officer in the Canadian Forces was so suddenly dismissed. Without access to the facts, the media turned to speculation and within hours Norman was being branded guilty of everything from sexual misconduct to international espionage. To dampen the feeding frenzy on Norman’s reputation, information was eventually provided that Norman’s alleged wrongdoing involved an information leak regarding a shipbuilding contract. In March 2018, a full fifteen months after he was publicly fired, one charge of breach of trust was laid against Norman. It is alleged by the Crown prosecutors that Norman leaked classified government information regarding a $700-million contract to lease a supply ship for the Royal Canadian Navy. Norman has steadfastly denied the allegations. To help prove their case, Norman’s defence team, headed by top notch lawyer Marie Henein, requested access to all of the pertinent emails, reports, memos, etc, which would have been generated at those top level DND offices in the two week window bracketing the admiral’s suspension. Anyone familiar with DND bureaucracy will realize that something as touchy as public dismissal of a top officer would generate a flurry of correspondence between all of these very senior personnel who had to undertake this very sensitive task. Thus it came as a bit of a shock to the officer assigned to collect all of these documents when his supervisor smiled and stated there was none. Stunned not only by this blunt admission of premeditated obstruction by his Commanding Officer, and the fact that, “he seemed proud to provide that response,” the witness told the court that he felt compelled to do the right thing and come forward to testify in support of Norman. Essentially this amounts to the witness’s unnamed Commanding officer telling a detective on a criminal case not to bother dusting for fingerprints because the culprits were smart enough to wear gloves when they committed the crime. If true, and it must be kept in mind that the Commanding officer in question has yet to have his version heard in court – this would reveal a very dangerous culture of cover-up existing within the upper echelons of the Defence Department. While the five-day pre-trial hearings were to have been wrapped up last Tuesday, there remain a number of unresolved issues concerning the defence team’s claim of obstruction on the part of the prosecution. Three days of additional pretrial hearings have been added and will be held in January. The actual trial will not begin until next June. In the meantime, the shipbuilding contract that sparked all of this intrigue and controversy has been completed, on time and on budget. From all accounts, the MV Asterix, converted at the Davie Shipbuilding in Quebec, and now leased to the RCN, is already providing our Navy with yeoman service. That being the case, the leak allegedly made by Norman to the media is credited with thwarting an alleged 2015 attempt by Irving shipyard of Halifax, NS, to have the newly elected Liberal government scrap the contract which Harper’s Conservative’s had signed with Davie Shipbuilding. If leaking info about Irving Shipyard allegedly trying to scuttle a project serves to keep that project on the rails, and in turn the MV Asterix project is an unqualified success, in the big scheme of things what actual harm was done? Sometimes it is important to take a good look in the mirror and judge ourselves by the same yardstick by which we judge others. We have determined that Russian President Vladimir Putin is bad and we have a long list of his recent evildoings to make that case. For example: In 2014, he annexed the Crimea. Since that juncture Russia has also supported the separatist rebels in eastern Ukraine with weapons and trainers and Russian intelligence meddled in the U.S. elections, thereby making Donald Trump the President. All very bad things. To add insult to injury, Putin also went ahead and constructed what is known as the Crimea Bridge to connect his annexed territory to the Russian mainland. This 18.1km span across the Kerch Straight was completed in just three years – from May 2015 till May 2018 at a cost of approximately $5 billion (USD). In addition to four lanes of vehicle traffic, the Crimea Bridge also includes two railway tracks. While everyone agrees that this was a major feat of engineering, the problem is that Putin did not ask permission to build this from the regime in Kiev. As the world has not recognized Putin’s annexation of Crimea, he has technically built a bridge to Ukraine sovereign territory. Again, pretty bad stuff. Russia’s stated objective for building this lengthy span was to bring increased commerce and trade to the traditionally impoverished Crimea. In 2014 the average annual income of a Crimean resident was just $3,000 (USD), which was roughly 14% lower than the rest of Ukraine. It is Putin’s stated objective to bring his Crimean subjects up to an annual income of $15,000 and put them on par with the rest of Russia. This could explain, in part, why the Crimeans voted so overwhelmingly in favor of joining Russia in the 2014 referendum. For Putin, the reason to seize the Crimea was considered to be a strategic one. Since the time of the Czars, Russia’s Black Sea fleet has been based in the Crimean port of Sevastopol. Following the collapse of the Soviet Union, Crimea was an autonomous region within the Republic of Ukraine, so Russia negotiated a long-term lease for Sevastopol. In 2010, Russia had extended that lease to 2042 with another five year option after that. However, when the pro-West regime took control in Kiev in 2014, Ukraine threatened to cancel the deal and evict the Russian fleet. Hence the Russians were able to almost bloodlessly take military control of a military base, which they were already leasing. This was ironic in the extreme coming from Clinton because in 1999 her husband, then President Bill, did just that. In support of Albanian separatists the U.S. led a NATO 78-day air campaign bombing against Serbia. The defiant Serbs refused to submit, and NATO had no stomach for a ground offensive. As a result, UN Resolution 1244 was signed wherein it was recognized that the disputed province of Kosovo would remain sovereign Serbian territory. Serbian security forces were withdrawn to allow NATO forces to provide interim security. The U.S. never had any intention of honouring the agreement and they immediately began building a massive military base in Kosovo. By August of 1999, two months after the ceasefire was signed, Camp Bondsteel was in full operation, complete with a huge post exchange (PX), a hospital, two gyms, two recreation centers, a Burger King, Taco Bell and an Anthony’s Pizza. Despite this being Serbian sovereign territory, nobody asked the Serbs for permission to build it. In February 2008, Kosovo – without any referendum – made a unilateral declaration of independence. The U.S. was the first to recognize Kosovo as a nation, but there is no plan to remove Camp Bondsteel. In fact it has become a controversial detention center for the U.S. to hold what it terms to be “illegal combatants”, similar to the infamous base in Guantanamo Bay, Cuba. In other words you can redraw the map of Europe, and you can build infrastructure on foreign soil without permission, as long as you are the U.S.
As for interfering in the Ukrainian civil war, how can Putin be evil for assisting one side while we pride ourselves on doing the exact same thing on the other? Canada in particular could have assumed a greater role as a mediator in Ukraine given our own experience with minority rights and our substantial community of ethnic Ukrainians. Instead, we have taken sides. As for meddling with elections, the West doesn’t even pretend to be subtle. In 2001, the U.S. invaded Afghanistan, toppled the Taliban and installed a puppet President of their choosing. In 2003, the U.S. invaded Iraq, killed Saddam Hussein, and then failed miserably to establish a democracy. In 2011, the U.S. led assault in Libya helped the rebels depose and murder President Muammar Gadhafi. We didn’t even bother to try and establish a replacement government. All three of those nations remain engulfed in violent anarchy with millions of people dead as a result. Those idiot Russians are playing about on Facebook with fake news, making U.S. voters choose Trump over Clinton? Last Tuesday, a senior U.S. military official gave some startling testimony before a Senate Armed Services Committee hearing. According to Lieutenant-General Kenneth McKenzie, the current rate of battlefield casualties among the Afghan security forces is “unsustainable” in the ongoing conflict with the Taliban. While the Kabul regime no longer publishes exact casualty numbers, it is estimated that the Afghan Army is losing at least 500 soldiers killed and hundreds more wounded every month. In an earlier statement, Afghan President Ashraf Ghani admitted that between 2015 and the present, over 28,000 Afghan troops have been killed in battle. At present, the U.S. maintains a force of 14,000 – mostly elite Special Forces and aircrew – in Afghanistan. McKenzie told the Senate Committee that without this U.S. commitment the Afghan security forces would be crushed in no time. “If we left precipitously right now, I do not believe they would be able to successfully defend their country”, McKenzie testified. This U.S. general believes that what is required is more training and more equipment for the Afghan security forces, and most importantly more time for these Afghans to become a self-sufficient military force. Unfortunately, McKenzie could not predict or even give a reasonable estimate as to how long this international commitment will be required. To put a little perspective on this latest assessment we need to remind ourselves that seventeen years ago, in December 2001, the U.S. declared that they had defeated the Taliban. A corrupt unelected regime of former warlords was then installed in Kabul and the Americans called on their allies to help rebuild a post-Taliban Afghanistan. The NATO led International Security Assistance Force (ISAF), to which Canada contributed a sizeable contingent, was only ever meant to be an interim measure to maintain order until the Afghan security forces were trained and equipped to self-sufficiency. Along the way, objectives got blurred, the Taliban re-emerged, the insurgency flared up, and ISAF troops – including Canadians – found themselves fighting and dying to prop up the most corrupt regime on the planet. For some reason no one in our senior military leadership – not even U.S. LGen McKenzie – has figured out that what the Afghan security forces lack is not training or equipment. The missing ingredient is motivation. There is no question that Afghans are fierce and determined fighters. The Taliban have been waging a bloody David versus Goliath campaign with a heroic determination that would be applauded were we not in Goliath’s camp. To date, a force of illiterate Afghan fighters with small arms and improvised explosive devices have been able to withstand the most technologically advanced military alliance ever deployed to a battlefield. The one category in which the allied command structure has been consistent is there inability to correctly assess the true situation on the ground. In December 2013, I interviewed Major-General Dean Milner at the ISAF base in Kabul. At that juncture, Canadian troops were winding down their three-year training mission, and Milner considered our work to be a success. “We have built that [Afghan security] force to those numbers and with the professional capability to beat the Taliban”, said Milner. Whoops. Five years later that security force is taking unsustainable casualties at the hands of a Taliban that was pronounced defeated seventeen years ago. Even with the benefit of hindsight, it would seem that Canadian generals and historians cannot grasp what has actually transpired. One prime example of this is a book written by Major-General David Fraser, which was released earlier this year. The title is Operation Medusa: The Furious Battle that Saved Afghanistan from the Taliban. According to L Gen McKenzie’s testimony, that battle to save Afghanistan has yet to be fought and the Taliban remain a very clear and present danger. Similarly delusional was a statement by historian David Bercuson in an article written in a recent Legion magazine. The gist of Bercuson’s op-ed was a comparison of Canada’s current policy of maintaining a series of penny packet military deployments – Mali, Latvia, Iraq, Ukraine and Romania, versus the good old days when we had all of our combat eggs in a basket called Kandahar. I personally do not think we need any more time to pass to conclude that we failed in Afghanistan. What we need is a full parliamentary inquiry into how it was that our political and military leadership could have gotten it so wrong for so long. The sacrifice of our soldiers to a cause that could not be ‘won’ demands answers in order to prevent a future fiasco. Re-writing history will not change the truth. We lost the war.